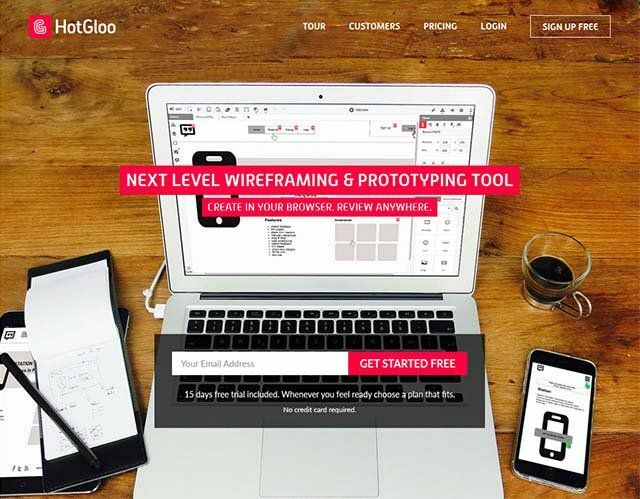 Next generation wireframing and prototyping tool. 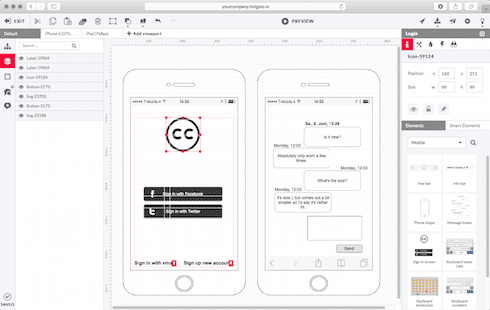 It is a powerful prototyping tool that is designed to build wireframes for both mobile and web. 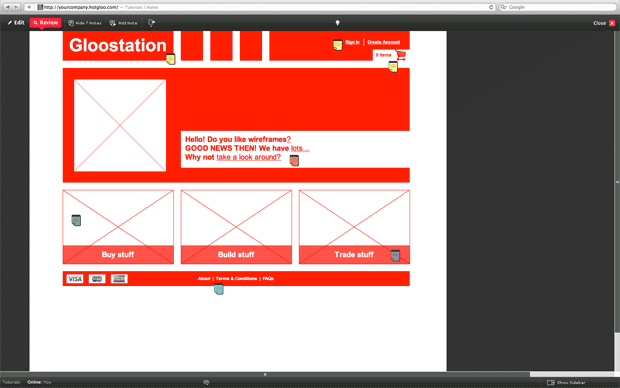 It allows the user to create and share interactive prototypes between multiple members in order to gather feedbacks. This software is easy to use and is well designed with very less learning curve and also provides a reliable support team to help the users. 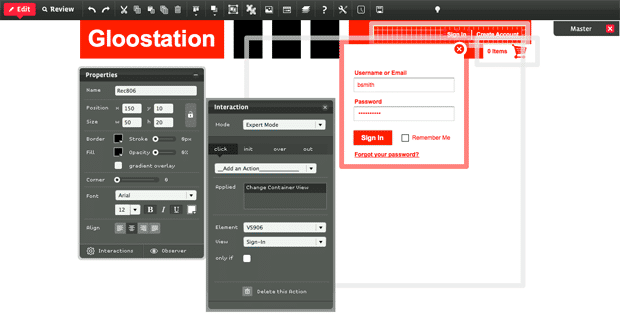 As is compatible with mobile device it allows you to edit and test your works from any mobile. 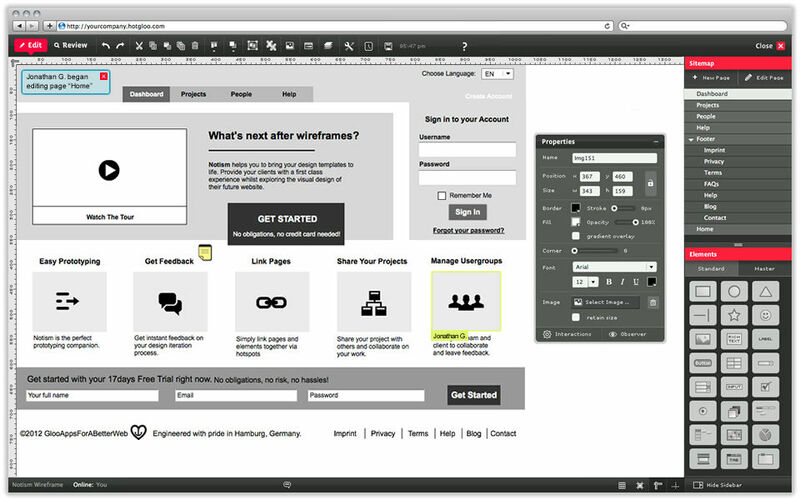 In addition, this software has around 2000 elements and icons that you can use in order to develop a comprehensive design. 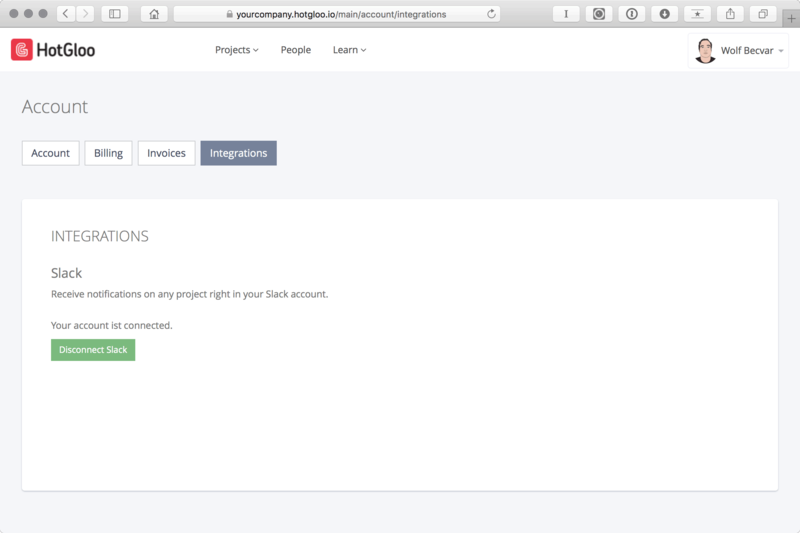 It allows you to leave page notes and comments on the go which makes it the perfect match for web workers. How much does HotGloo cost ? 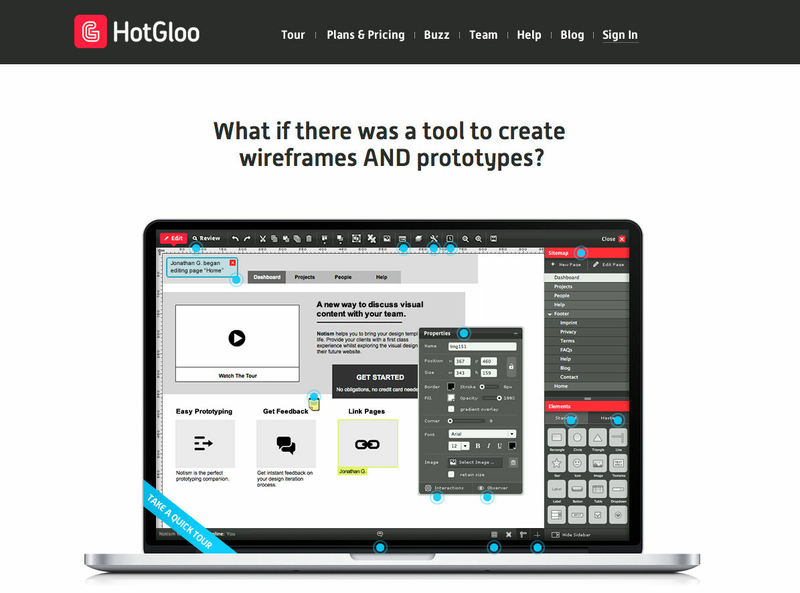 The pricing for HotGloo starts at $12.0 per month. 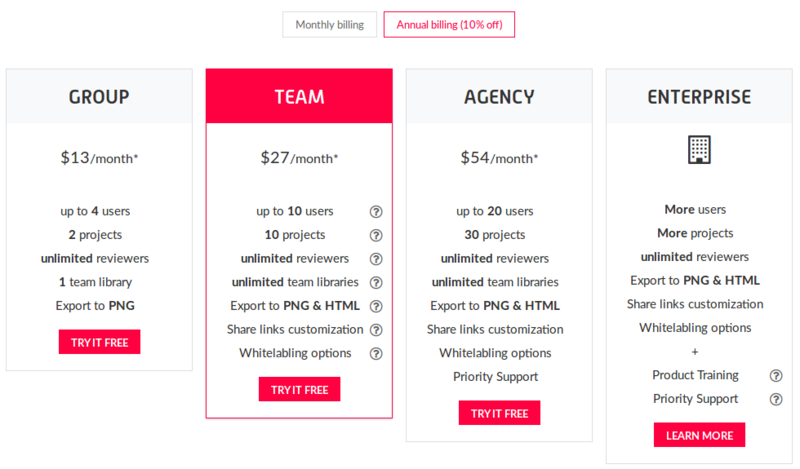 HotGloo has 3 different plans such as - Group at $12.0 per month, Team at $24.0 per month and Agency at $48.0 per month. 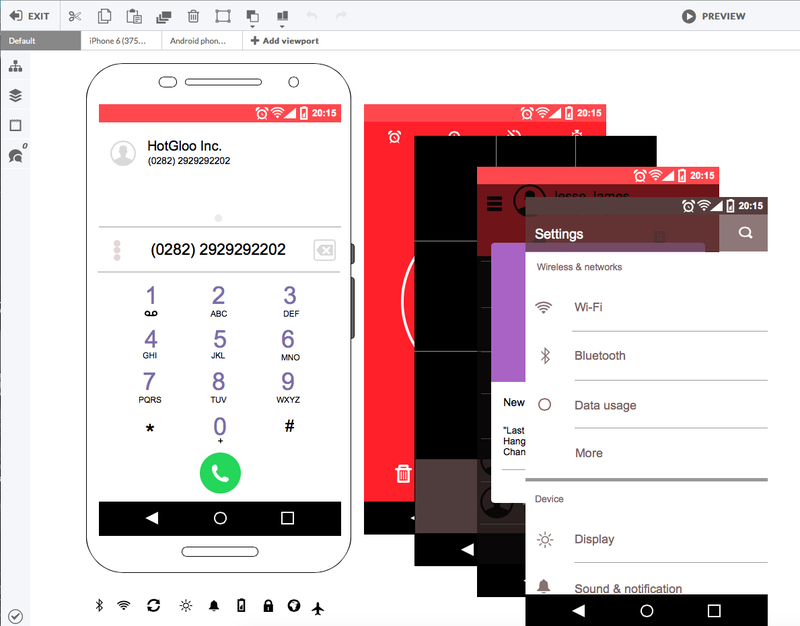 HotGloo also offers a custom plan based on the customer's request. 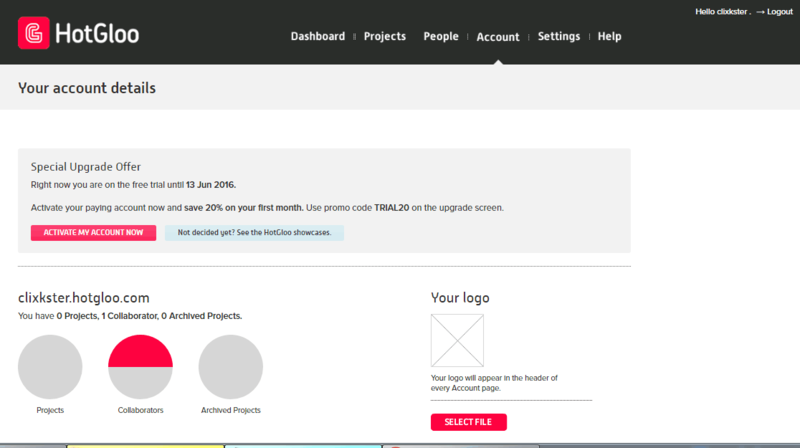 Annual subscription gives you 10% discount on all plans. There may be additional VAT charges depending on the country you live in. All prices are in US dollars. A useful took for UX design!